After a lot of build-up and warnings, the severe thunderstorm outbreak on Tuesday lived up to the hype — sort of. 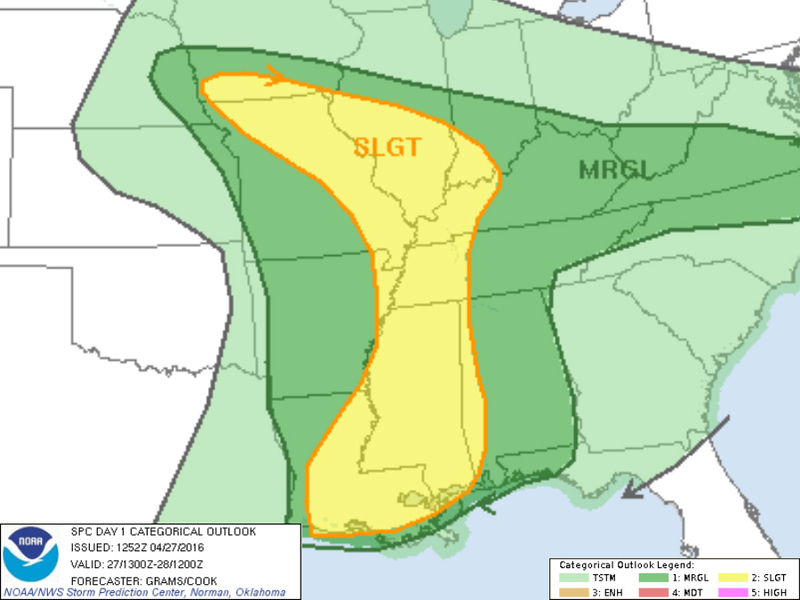 Nearly all of the forecasts leading up to Tuesday mentioned large, damaging hail as the main threat with the possibility of some large tornadoes. 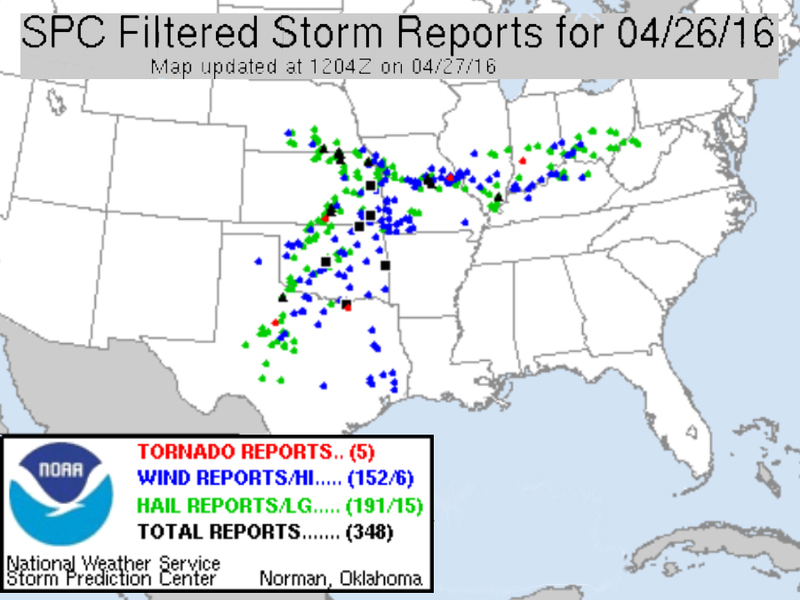 But of all the storm activity reported on Tuesday, most involved large hail, while only five tornadoes were reported. Most of the reported hail was between pea and quarter size, but a few reports mentioned hail between 3 to 3.5 inches in diameter. One report from Kansas even had photographic evidence of hail measuring 5 inches in diameter. This storm system has somewhat weakened and is now moving into parts of the Midwest and Southeast, but it's doubtful we'll see another day as eventful as Tuesday. Meanwhile, National Weather Service employees will be assessing the damage from Tuesday's nasty round of weather.